The Knaster inheritance procedure is a fair division method for determining how an object of value (such as a house) should be equitably divided among three or more heirs. 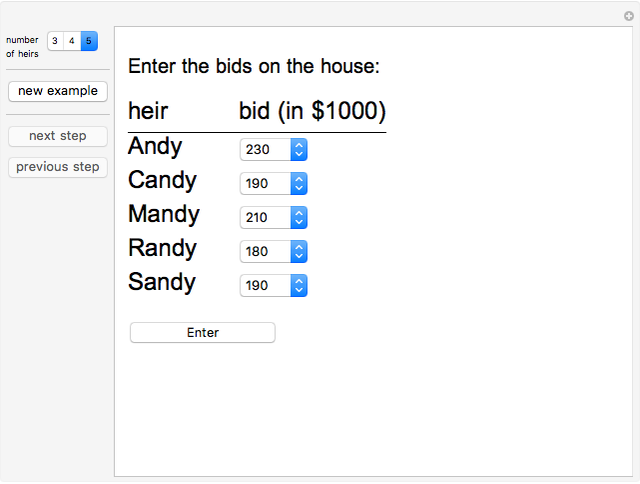 In this Demonstration, you choose 3, 4, or 5 heirs and enter the bids for each heir. 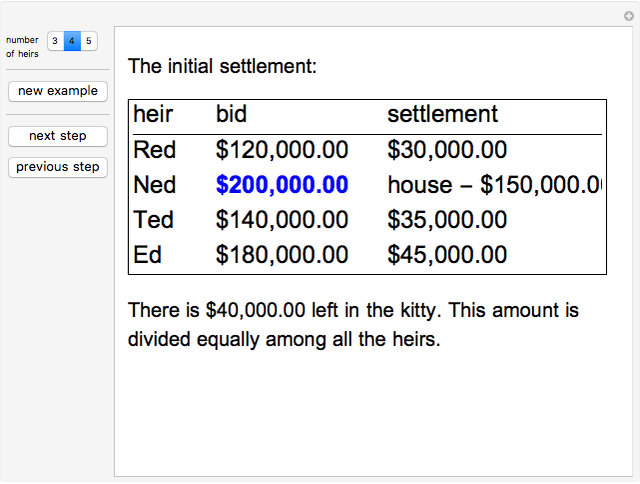 The Demonstration then illustrates the Knaster procedure in a step-by-step fashion, showing who gets the house, how much money that person must put into the kitty, and how that money is subsequently divided among all heirs. In the end, each person gets at least as much value as the fraction of what he or she bid. For example, in the default case, Red had bid $120,000 but gets $40,000; this is more than one-quarter of $120,000, which is $30,000. 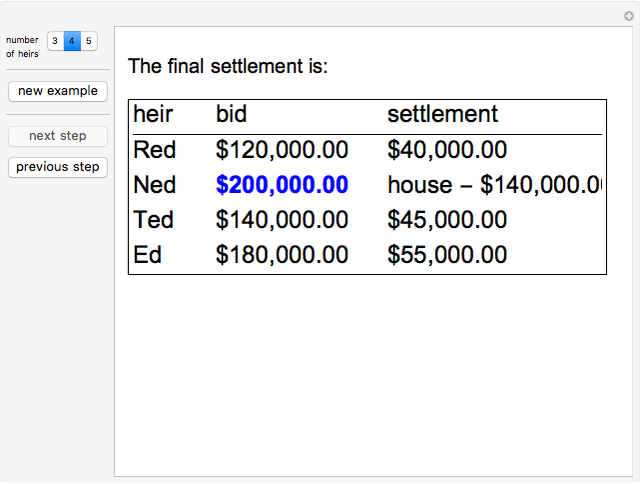 Ned got the house for $140,000; he valued it at $200,000, so from his point of view he gained $60,000, which is better than one-quarter of $200,000, which is $50,000. Marc Brodie "The Knaster Inheritance Procedure"